Kingston, Ont. 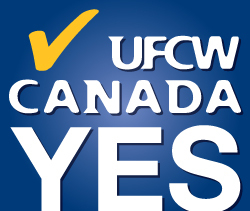 – September 9, 2018 – Retail workers at the Canada Computers & Electronics location in Kingston, Ontario are the newest members of UFCW Canada Local 102 after overwhelmingly voting to join the union. Canada Computers is a leading retailer of personal computers, IT components, and consumer electronics. The new members work as retail consultants, customer service agents, and computer technicians. The major issues for the Kingston members were wages, respect and a greater say in their working conditions, and job security. This is the third Canada Computer location in Ontario where workers have voted to join Local 102 and gain the UFCW advantage. To find out more about UFCW Canada Local 102, visit www.ufcw102.ca.